Two days on the beach and two shark encounters. 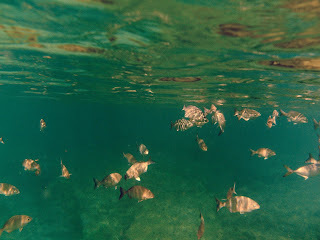 Yesterday was a snorkeling morning. The water was calm and clear. Chris and I had a lot of fun. We also used the GoPro in the underwater mode for the first real run of the vacation. It takes great video even while being attached to the head strap, but we need to learn how to use it a bit better to get more viewable videos. My underwater camera was also very useful and documented the really impressive things that we viewed during our event filled outing. The big event during the outing was the shark encounter. 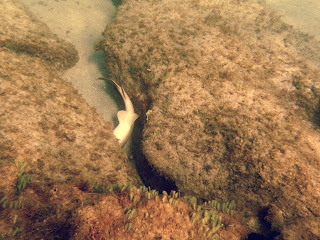 While we were snorkeling we came upon a small nurse shark, a pup, that seemed to be in a unique position--belly up. This caused us great consternation, as you will see from the video. We spend a good deal of time trying to decide what, if anything, we should to to help this small shark. Of course there was a great difference of opinion. And in watching it further, I began to wonder if it was dead, I could see some fin movement, but I wasn't sure if it was caused by the undulation of the water. 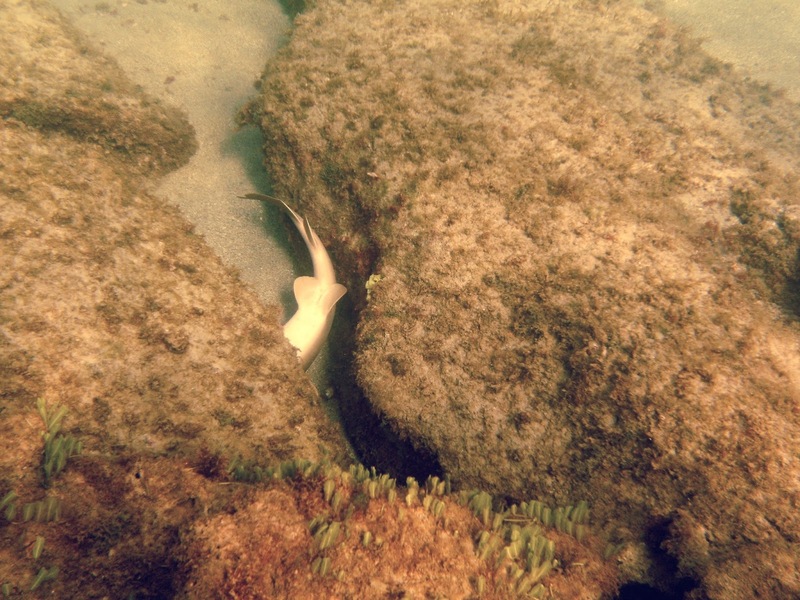 Our desire to assist a fellow inhabitant of the planet finally won out over common sense, and of course knowing that it was a nurse shark coupled with its small size contributed to the decision that it clearly needed assistance. A rescue attempt was made, which ended with a great amount of laughter when the shark, startled a lot more than I was, took off never to be seen again. Did the shark really need assistance? Probably not! But, we felt better about it when it was over because we made a rescue attempt. 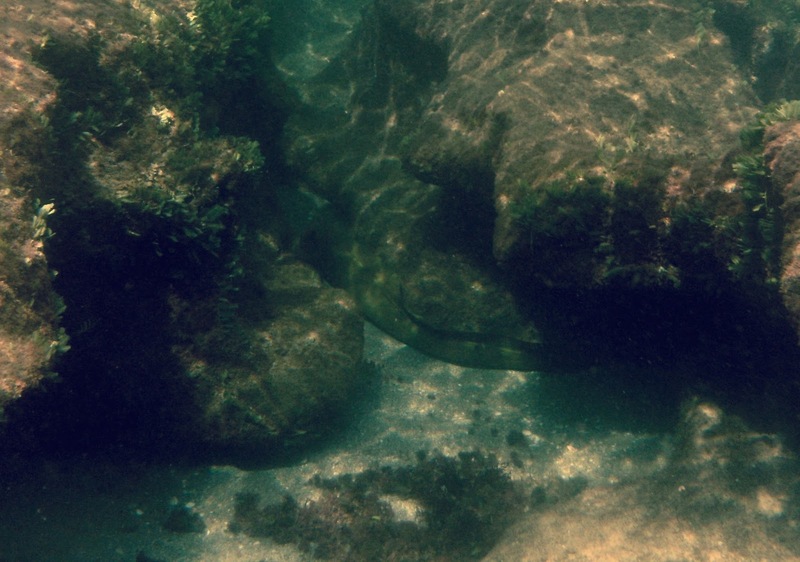 And then we were on our way for the neatest find of the day, and one unfortunately that the camera did not fully capture--a medium sized moray eel in the open, hunting. 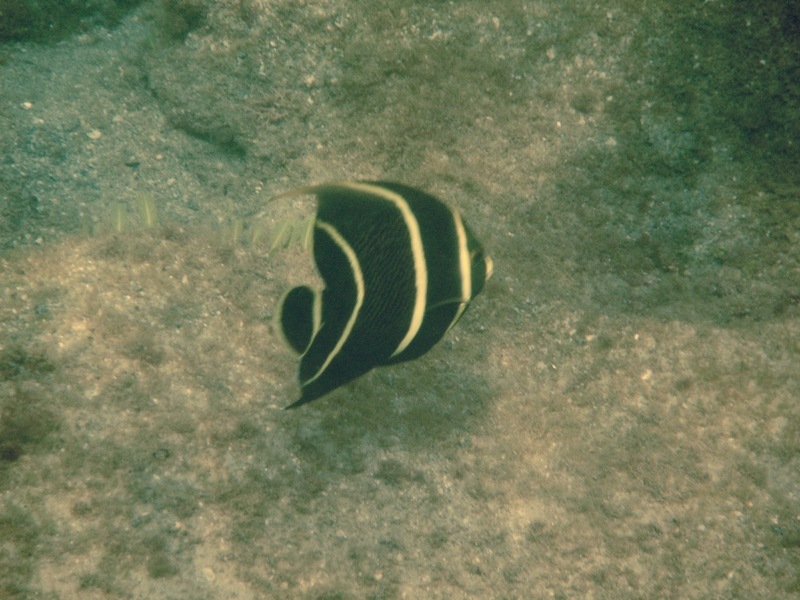 It is a good reminder why I never reach into dark areas while snorkeling. You never know what is there! A great day in Florida. And the entire snorkeling adventure lasted only about an hour, leaving a whole day to get sunburned on the beach.